Maybe we have jumped the gun. We very badly want G.O.O.D. Fridays back (we&apos;re not alone). Surprise releases are fun and everything, but the build of a month(s)-long stretch is better. We would like to talk about music together, and not only by collectively spazzing out and crashing Livemixtapes. We would like to Monday morning quarterback the art and announcement punctuation and where we heard it over the weekend and the context and the song itself. We&apos;d like to compare this week&apos;s offering to the last couple and use all that to debate the emotional state and practical concerns of Kanye and us and try to divine, somehow, where all this is going. The Internet wasn&apos;t quite what it is now the last time this happened, and we&apos;re thinking about how that changes our coverage. So here we are, weighing in, doing our best to do our part as listeners and readers and thinkers, even though it&apos;s not real clear if #EveryFriday means G.O.O.D. Fridays Part Deux or not. Definitely we are not dealing with the clockwork delivery and full team effort of the fourth quarter of 2010. Sample email from my inbox: "Hope you&apos;ve had an enjoyable weekend! 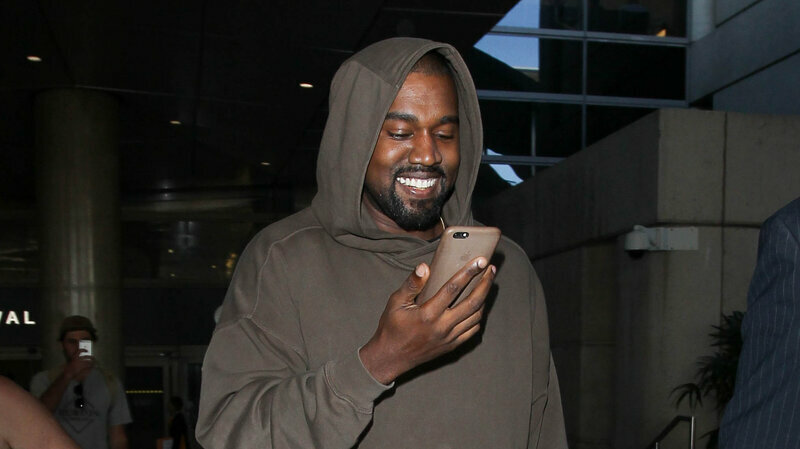 It seems Kanye is still enjoying his since there&apos;s still not a new track." And Kanye talking that "very very extremely soon" business but not really being done for another six hours, tweeting only "It&apos;s up" when the full version of "No More Parties in L.A." went public on Soundcloud, resurrected all my old blown deadline, high school term paper overnighter, the news that Michael Jackson died hit at 5:20 pm ET stress like here, take it, I think it&apos;s done, who knows what it says. The only time I&apos;ve ever felt closer to Ye was when he tweeted about waking up on a plane and finding himself responsible for a water bottle he didn&apos;t even ask for. The responses of the writers below have in common enthusiasm for the project ofSWISH and the artist that Kanye is. Frustration is often present. The relief at his recovery from "FACTS" is strong, strong enough to intensify the warmth of this group&apos;s embrace of "No More Parties in L.A." In my opinion. This is a line of conversation we&apos;d like to have the opportunity to follow over the next few weeks: What are these songs on their own? What are these songs in relation to each other? As part of the lead up to an album? To this album? What are these songs because of Kim&apos;s Twitter life? What are they while Future and Drake and Metro and Esco and Kendrick and Cole and Travis and Adele and Soulection and Bieber and The Weeknd and Chris Stapleton are doing their thing? We&apos;ll collect reactions as we proceed; we&apos;ll keep them all here. Everybody can change their mind. Everybody is free to be disappointed. Nobody is allowed to give up. We&apos;re at @NPRHipHop if you&apos;d like to get involved. "NO MORE PARTIES IN L.A."